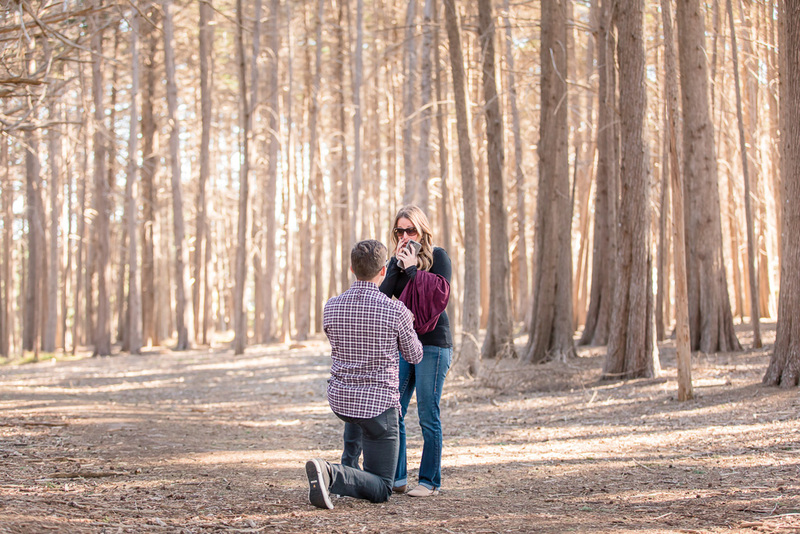 Knowing that his girlfriend Jennifer is a very perceptive girl, Clayton had to be sure to come up with the perfect cover story for his proposal in order to not give away the surprise. 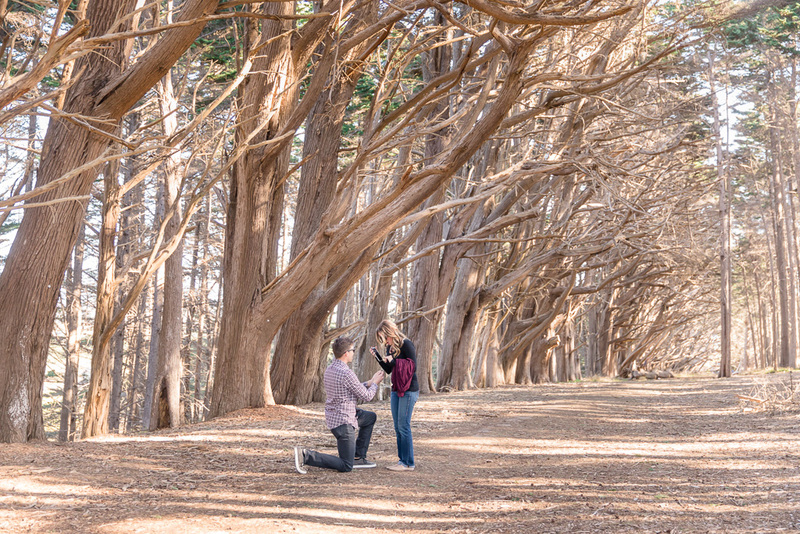 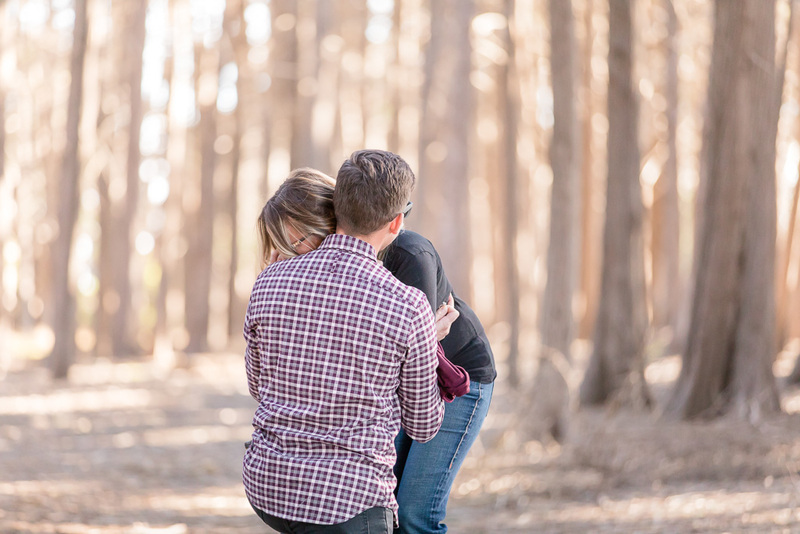 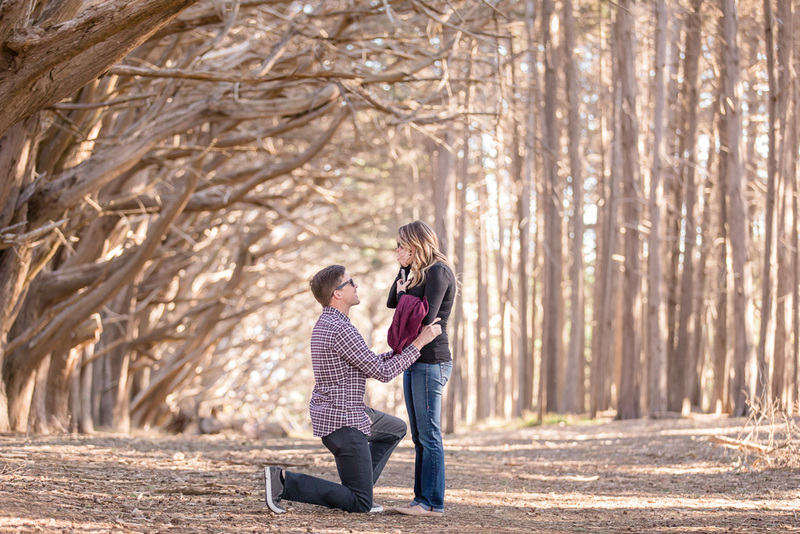 His sister had recently gotten engaged, and so last weekend, he and Jennifer would be taking a trip to Half Moon Bay to check out some potential venues for her wedding. 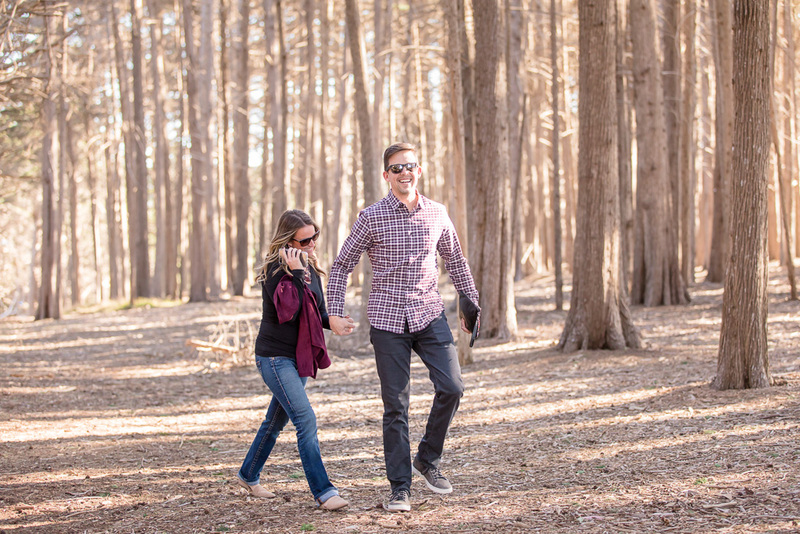 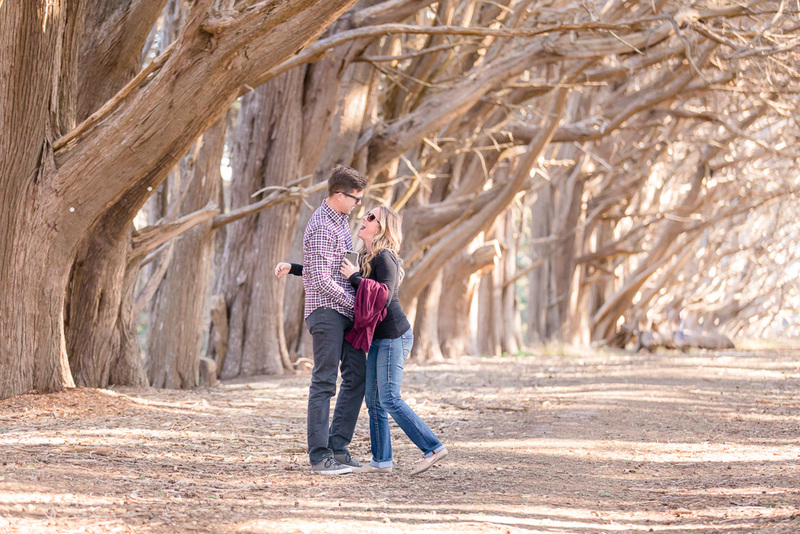 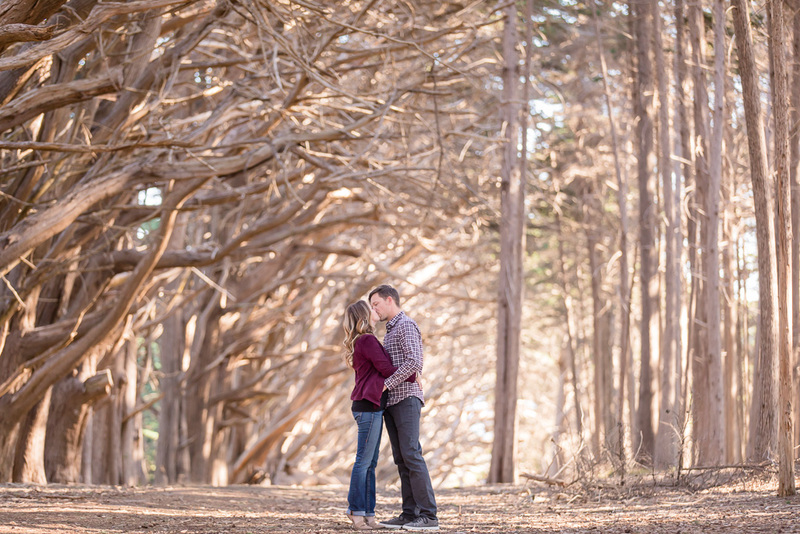 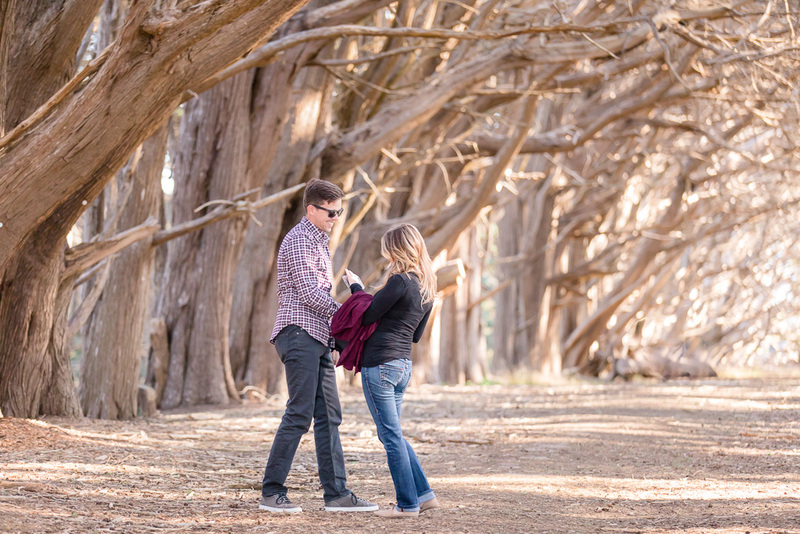 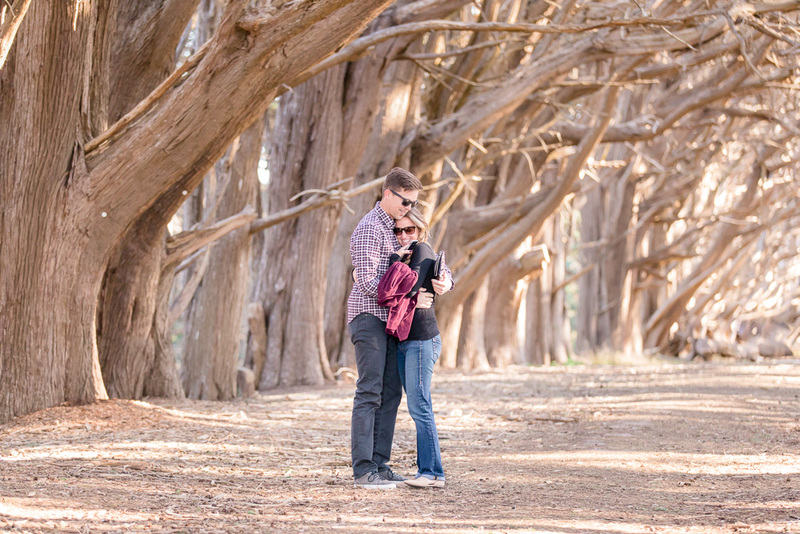 It just so happened that one of them was just a few minutes’ walking distance from this beautiful cypress tree tunnel, where, as you can see below, they walked through before Clayton got down on one knee and popped the question. 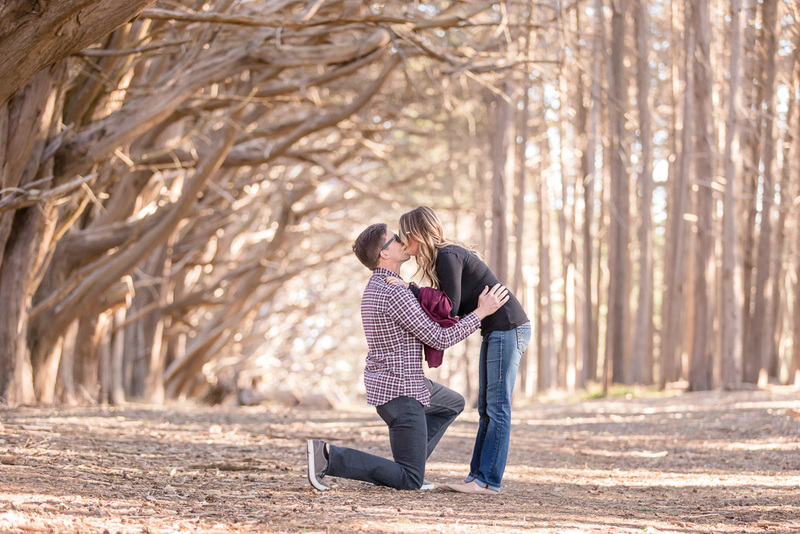 It couldn’t have gone better, and I’m sure they were the happiest two people in the world that day. 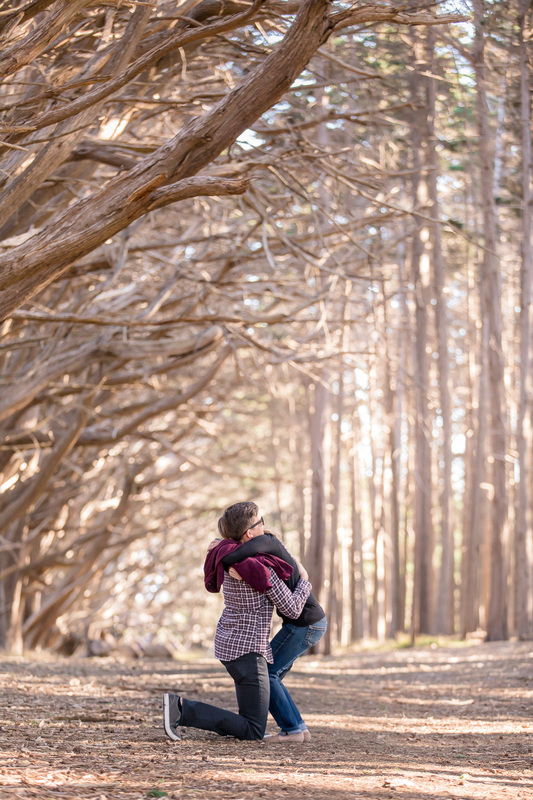 The moment was such a joy for us to capture, and the location and lighting came together so well for these photos, too. 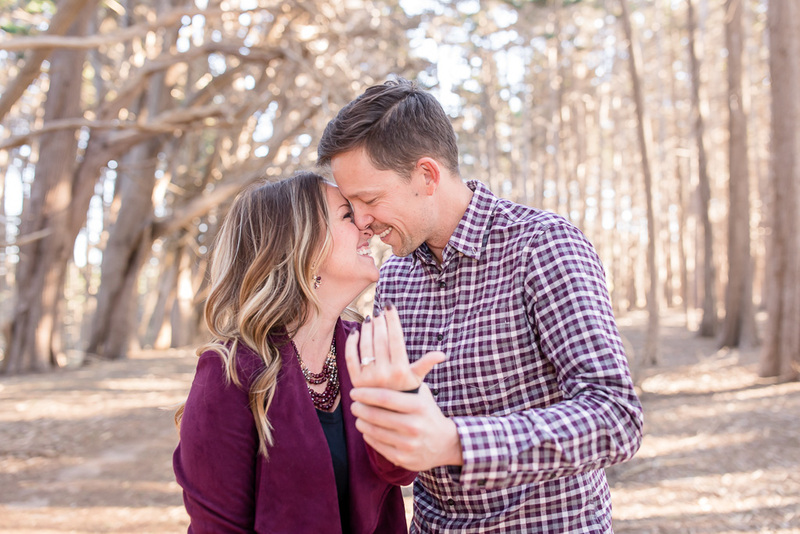 Congrats to C&J, and check out the photos below!